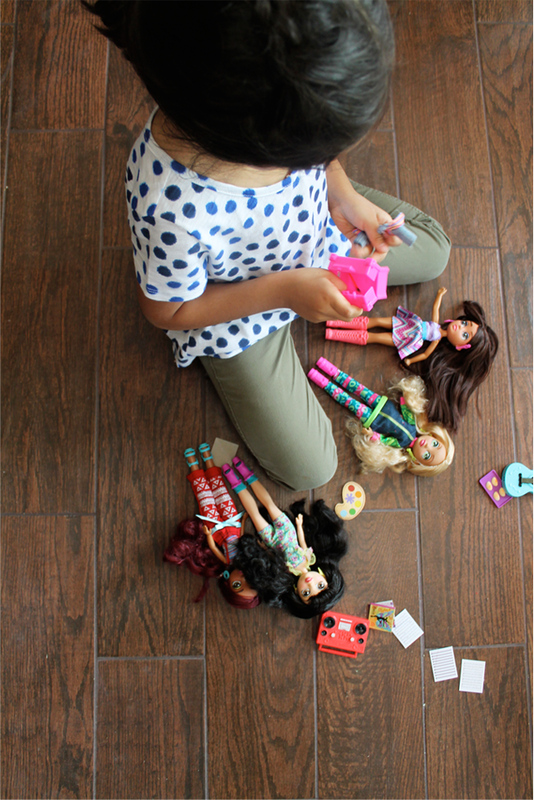 I always loved playing with dolls as a little girl. I played up until I turned twelve, yup I would even beg my younger sister to let me play with her sometimes. Most twelve year old girls nowadays are too grown up to play with dolls. 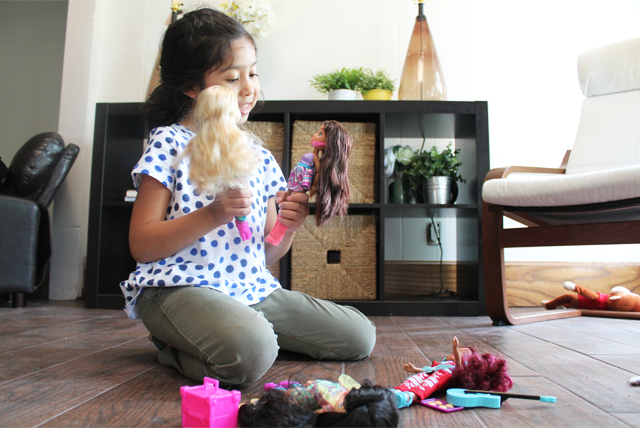 I always looked forward to playing dolls with my daughter one day and when I heard Vi and Va's new fashion dolls launch I knew they would be perfect for Sarah... and me too. 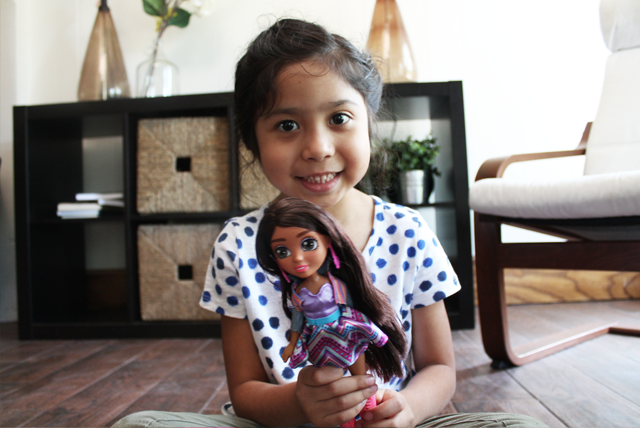 Vi and Va is a recently launched fashion doll line inspired by Latino cultures. Vi and Va (pronounced like Viva!) are two teenage sisters: Viviana (Vi) and Valentina (Va). For these girls, every day is an adventure and a reason to celebrate the bonds of family and friendship. Vi and Va, along with their best friends, cousins Felicia and Roxxi, were created to help girls honor and embrace their heritage. The themes and storytelling within the line focuses on both family and culture. The 4 main characters are not just friends, they are also family! Sarah loves that she has dolls that look like her to play with. The Valentina doll is her favorite, she says it looks just like her. We love Vi and Va's new line! 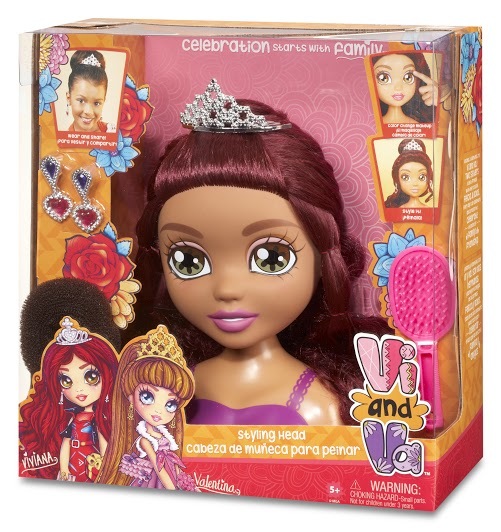 The full assortment of "Vi and Va" fashion dolls is available at Target stores and on Target.com. One of my lucky readers will get a chance to win one of Vi and Va's new products: The Vi and Va styling head. Just enter via Rafflecopter below for a chance to win this for your daughter, niece, neighbor or maybe even yourself. I won't judge ;) Giveaway ends this Friday May 1st, winner will be notified by email. 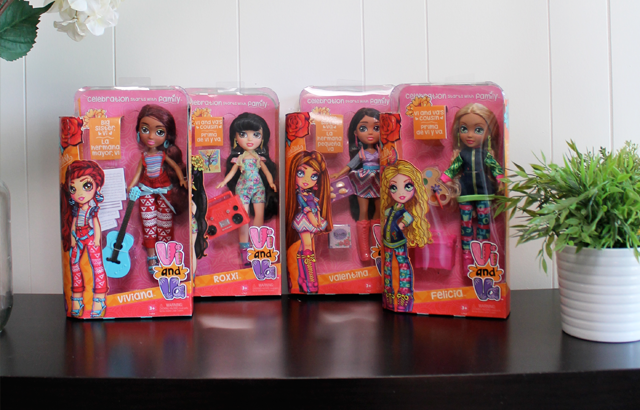 These dolls are so adorable! My girls would love them. Thank you for the wonderful giveaway.